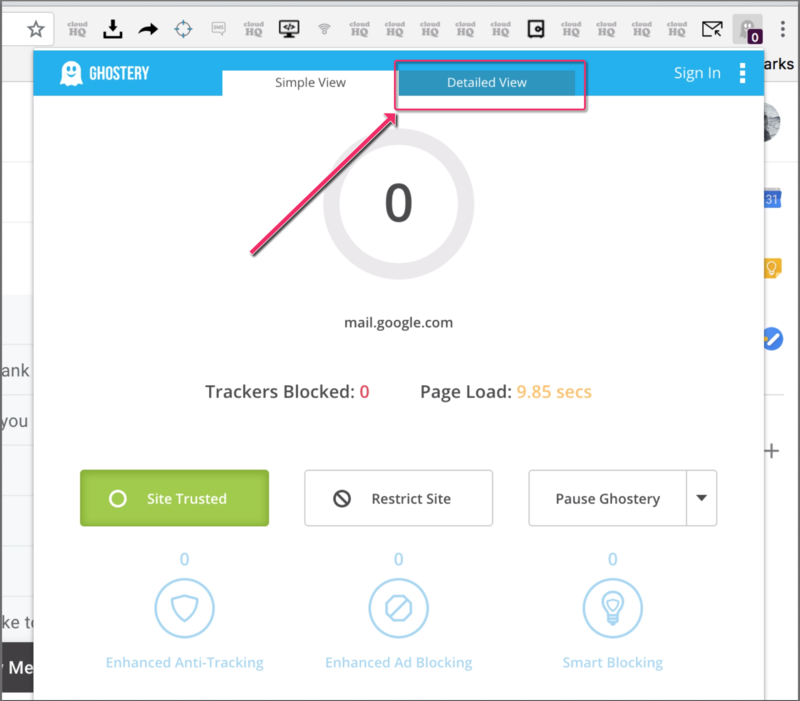 If you are using ad-blocker extensions such as Ghostery, uBlock Origin, or AdBlock Plus you will need to de-install them or whitelist both cloudHQ and Gmail to make everything working. These extensions are intercepting (and changing) communication between your browser and our servers causing our firewall to automatically log you out. 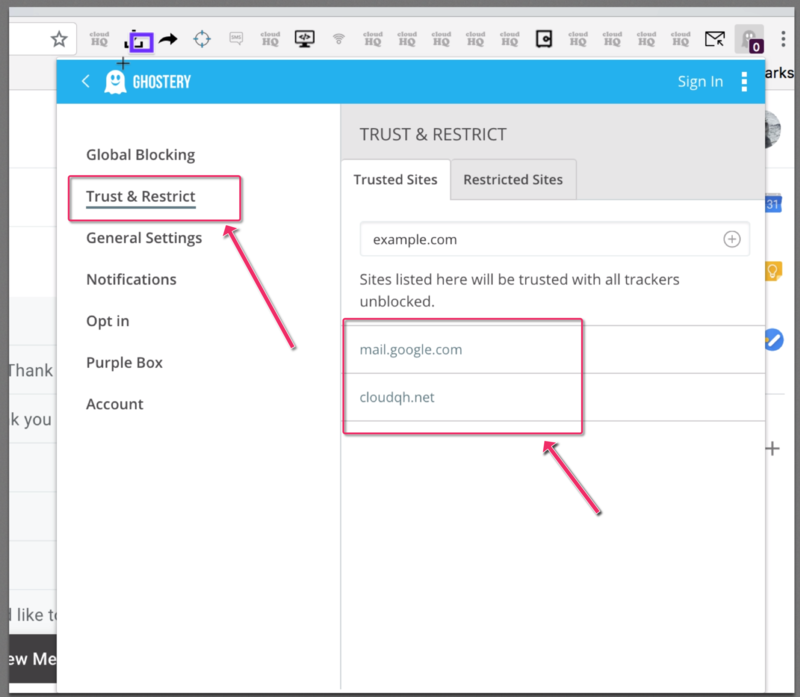 Ghostery is ad-blocker extension owned by German media group Hubert Burda Media (which owns Cliqz GmbH). uBlock Origin (/ˈjuːblɒk/ “you-block”) is a free and open-source, cross-platform browser extension for content-filtering, including ad-blocking. uBlock Origin’s stated purpose is to give users the means to enforce their own (content-filtering) choices. Click on uBlock Origin icon in upper left corner of your Google Chrome browser and select options. Privacy Badger is a free browser extension created by the Electronic Frontier Foundation (EFF). Its purpose is to promote a balanced approach to internet privacy between consumers and content providers by blocking advertisements and tracking cookies that do not respect the Do Not Track setting in a user’s web browser. While some of its code is based on Adblock Plus, Privacy Badger only blocks those ads which come with embedded trackers. Click on Privacy Badger icon in upper left corner of your Google Chrome browser and select options.